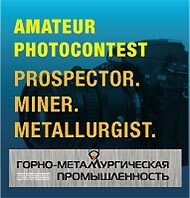 AGMP The Republican Association of Mining and Metallurgical Enterprises was established in Kazakhstan in 2005 by the group of local mining companies. The Association currently has over 50 member-organizations whose joint production output exceeds 25% of Kazakhstan’s GDP. Members of the Association employ over 300 000 people. The largest members are Bogatyr Access Komir LLP, Corporation “Kazakhmys”, “ArcelorMittal Temirtau”, JSC “Ust-Kamenegorsk Titan-Magnesium Combine”, ENRC, “GRK Kazakhstan Nickel” LLP, JSC “Altynalmas”, JSC “Maikainzoloto”, JSC “Kazatomprom”” and others. Eurasian Business Council is a nonprofit partnership for assistance to trade and economic cooperation within the countries of the Eurasian Economic Community (EvrAzES) – Belarus, Kazakhstan, Kyrgyzstan, Tadzhikistan and Russia. The main purpose of the Eurasian Business Council is to promote the steady development of mutually beneficial trade and economic cooperation, establishment of direct links between enterprises and companies of the Eurasian Economic Community member states, as well as full cooperation of the members of the Council.